Find the address of your nearest HSE Office and Knowledge Centre. Inspectors and other field professionals are based in offices organised into regions. HSE offices are open 8:30am to 5pm, Monday to Friday. 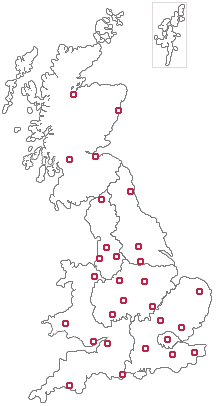 Covers London Division, East and South East, Midlands, Wales and South West, Yorkshire & North East Division, North West Division and Scotland. You can find information and guidance on workplace health issues on the HSE website under various topics or industries. There is also information on how to make a workplace complaint. If you cannot find the information you require via our website, you can contact the Employment Medical Advisory Service by submitting a written request for information to the appropriate HSE office listed above. Your request should include your name, contact address (email or postal) and details of the information you require. If you wish to visit the HSE to learn more about the work of the Health and Safety Executive then please contact us using the form available.